Afghanistān (officially called Islamic Republic of Afghanistan; Persian: جمهوری اسلامی افغانستان‎, Pashto: د افغانستان اسلامي جمهوريت‎) is a country located in Central Asia and South Asia. It has borders with Pakistan in the south and east, Iran in the west, Turkmenistan, Uzbekistan and Tajikistan in the north, and China in the far northeast. In early times people passed through it with animals and other goods as it connected China and India with Central Asia and the Middle East. More recently, Afghanistan has been damaged by many years of war and there not being enough jobs. The country is around 251,826 square miles (652,230 square kilometers) in size or area. There are 30 million people in Afghanistan. There are about 3 million Afghan refugees (people who had to leave the country) who are in Pakistan and Iran for some time. Kabul, its capital, had about 3,691,400 people living in it in 2011. Snow-capped Koh-i-Baba mountains in Bamyan Province of Afghanistan. Afghanistan has many mountains. The mountains are called the Hindu Kush and Himalayas. The big mountain in Afghanistan is Mount Nowshak. There are plains (which have soil that is good for growing plants) and foothills. Part is also dry and called the Registan Desert. Afghanistan has snow and glaciers in the mountains. Amu Darya is the big water stream, or river. Afghanistan is dry and cold in winter and hot in summer. Having no water sometimes causes problems for farmers. Sandstorms happen a lot in the desert. The country has a lot of a valuable stone called lapis lazuli, which was used to decorate the tomb of the Egyptian king Tutankhamun. Endangered snow leopards live in the cold Hindu Kush, but they have thick fur to stay warm. Hunters sell the soft leopard skins in the markets in the capital Kabul. Southern Afghanistan has not many plants because it is dry. There are more plants where there is more water. Mountains have forests of pine and fir, cedar, oak, walnut, alder, and ash trees. Afghanistan's animals are in the mountains. There are wolves, foxes, jackals, bears, and wild goats, gazelles, wild dogs, camels, and wild cats such as the snow leopard in the country. The birds are falcons, eagles and vultures. The Rhesus Macaque and the red flying squirrel are also in Afghanistan. Many years of war, hunting, and years of no water have killed animals in Afghanistan. There used to be tigers in Afghanistan, but now there aren't any. Bears and wolves are almost gone. Many different cultures have moved through or invaded the land of Afghanistan. Today the people of Afghanistan, known as Afghans, have many traits passed down from these groups. The largest ethnic group (group of people considered the same in some or multiple ways) is the Pashtuns, who make up about half the Afghan people. Tajiks are the second-largest ethnic group, making up about one-fifth of the population. Before the 20th century, Tajiks were called Sarts and some come from the Iranian peoples. Most Pashtuns are also related to the Iranian peoples, and some Pashtuns and Tajiks marry each other but at the same time they are rivals, the third-largest ethnic group are the Hazaras, they are native to the Hazaristan area in central Afghanistan. The country's other ethnic groups include the Uzbek, Aimaq, Turkmen, Nuristani, Baloch, Pashayi and a few others. Dari-Persian and Pashto are the official languages of Afghanistan; bilingualism is very common. Both are Indo-European languages from the Iranian languages sub-family. They are usually written with the Arabic alphabet. Uzbek and Turkmen are widely spoken in the north and Nuristani and Pashai are spoken in the east. Almost all Afghans follow the religion of Islam. Afghanistan is a largely rural country, which means that there are only few major cities and much spaced-apart land. Only about one fifth of the population lives in cities. Kabul, the capital, is the largest city. It is along the Kabul River south of the Hindu Kush range. 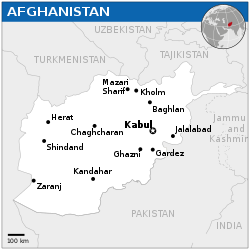 Other cities in Afghanistan include Kandahar, Herat, Mazar-e Sharif, and Jalalabad. The rural population is made up of farmers and nomads (people who move or travel from place to place). The farmers live mainly in small villages along the rivers. The nomads live in tents while moving from place to place with their animals and belongings. Some Afghan people live in the high central mountains or the deserts in the south and southwest. Millions of people escaped from Afghanistan in order to not get involved in the wars that happened in the late 20th and early 21st centuries. Most of them lived in neighboring Pakistan and Iran. Afghanistan is in the path of important trade routes that connect southern and eastern Asia to Europe and the Middle East. Because of this, many empire builders have decided to rule over the area. Signs that these emperors were near Afghanistan still exist in many parts of the country. Afghanistan is near what used to be the Silk Road, so it has many cultures. From up to 8,000 years ago, the peoples of Afghanistan helped develop (create) major world religions, traded and exchanged many products, and sometimes controlled politics and culture in Asia. Zoroaster, the founder of Zoroastrianism, lived in Bactria, an ancient land in the north of today's Afghanistan. Archaeologists digging a cave in what is now northeastern Afghanistan (in Badakhshan), discovered that people lived in the country as early as 100,000 years ago. They found the skull of a Neanderthal, or early human, as well as tools from about 30,000 years ago. In other parts of Afghanistan, archaeologists uncovered pottery and tools that are 4,000 to 11,000 years old—evidence that Afghans were among the first people in the world to grow crops and raise animals. Farmers and herders settled in the plains surrounding the Hindu Kush as early as 7000 B.C. These people may have grown rich off the lapis lazuli they found along riverbeds, which they traded to early city sites to the west, across the Iranian plateau and Mesopotamia. As farms and villages grew and thrived in Afghanistan, these ancient people eventually invented irrigation (digging ditches for water so it flows to crops) that allowed them to grow crops on the northern Afghanistan desert plains. This civilization (advanced state of organization) is today called BMAC (Bactria–Margiana Archaeological Complex), or the "Oxus civilization". The Oxus civilization expanded as far east as western edge of the Indus Valley during the period between 2200 and 1800 B.C. These people, who were the ancestors of the Indo-Aryans, used the term "Aryan" to identify their ethnicity, culture, and religion. Scholars know this when they read the ancient texts of these people; the Avesta of Iranian people and the Vedas of Indo-Aryans. Zoroaster, the founder of the Zoroastrian religion, the world's earliest monotheistic religion, (meaning a religion believing in one god) lived in the area (somewhere north of today's Afghanistan), around 1000 B.C. Names of territories during the Caliphate in 750 CE. 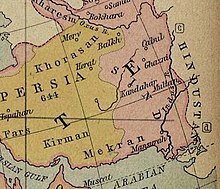 Khorasan was part of Persia (in yellowish). By the middle of the sixth century BC, the Achaemenids took over control of the land, which was previously held by the Medes, and made it part of the Persian empire. Alexander the great defeated and conquered the Persian Empire in 330 BC. He founded some cities in the area and Greek culture and language continued to influence the people for a long period, right up to the Islamic conquest in the 7th century A.D. After Alexander, Greco-Bactrians, Scythians, Kushans, Parthians and Sassanians ruled the area. Kushans spread Buddhism from India in the 1st century B.C., and Buddhism remained an important religion in the area until the 7th century. The Buddhas of Bamiyan were the remainder of Buddhism in Afghanistan. Those giant statues were destroyed by the very religious Taliban in 2001, despite international protests in defence of the priceless art. The Taliban believed that those ancient statues were un-Islamic and a curse on Afghanistan. Arabs introduced Islam in the 7th century and slowly began spreading the new religion. In the 9th and 10th centuries, many local Islamic dynasties rose to power inside Afghanistan. One of the earliest was the Tahirids, whose kingdom included Balkh and Herat; they established independence from the Abbasids in 820. The Tahirids were succeeded in about 867 by the Saffarids of Zaranj in western Afghanistan. Local princes in the north soon became feudatories of the powerful Samanids, who ruled from Bukhara. From 872 to 999, north of the Hindu Kush in Afghanistan enjoyed a golden age under Samanid rule. In the 10th century, the local Ghaznavids turned Ghazni into their capital and firmly established Islam throughout all areas of Afghanistan, except the Kafiristan region in the northeast. Mahmud of Ghazni, a great Ghaznavid sultan, conquered the Multan and Punjab region, and carried raids into the heart of India. Mohammed bin Abdul Jabbar Utbi (Al-Utbi), a historian from the 10th century, wrote that thousands of "Afghans" were in the Ghaznavid army. The Ghaznavid dynasty was replaced by the Ghorids of Ghor in the late 12th century, who reconquered Ghaznavid territory in the name of Islam and ruled it until 1206. The Ghorid army also included ethnic Afghans. Ahmad Shah Durrani, founder of the modern state of Afghanistan in 1747. Afghanistan was recognized as Khorasan, meaning "land of the rising sun," which was a prosperous and independent geographic region reaching as far as the Indus River. All the major cities of modern Afghanistan were centers of science and culture in the past. The New Persian literature arose and flourished in the area. The early Persian poets such as Rudaki were from what is now Afghanistan. Moreover, Ferdowsi, the author of Shahnameh, the national epic of Iran, and Rumi, the famous Sufi poet, were also from modern-day Afghanistan. It has produced scientists such as Avicenna, Al-Farabi, Al-Biruni, Omar Khayyám, Al-Khwarizmi, and many others who are widely known for their important contributions in areas such as mathematics, astronomy, medicine, physics, geography, and geology. It remained the cultural capital of Persia until the devastating Mongol invasion in the 13th century. Timur, the Turkic conqueror, took over in the end of the 14th century and began to rebuild cities in this region. Timur's successors, the Timurids (1405–1507), were great patrons of learning and the arts who enriched their capital city of Herat with fine buildings. Under their rule Afghanistan enjoyed peace and prosperity. Between south of the Hindu Kush and the Indus River (today's Pakistan) was the native land of the Afghan tribes. 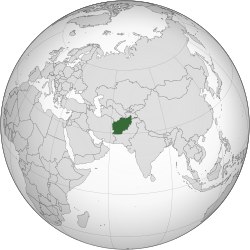 They called this land "Afghanistan" (meaning "land of the Afghans"). The Afghans ruled the rich northern Indian subcontinent with their capital at Delhi. From the 16th to the early 18th century, Afghanistan was disputed between the Safavids of Isfahan and the Mughals of Agra who had replaced the Lodi and Suri Afghan rulers in India. The Safavids and Mughals occasionally oppressed the native Afghans but at the same time the Afghans used each empire to punish the other. In 1709, the Hotaki Afghans rose to power and completely defeated the Persian Empire. Then they marched towards the Mughals of India and nominally defeated them with the help of the Afsharid forces under Nader Shah Afshar. In 1747, after Nader Shah of Persia was killed, a great leader named Ahmad Shah Durrani united all the different Muslim tribes and established the Afghan Empire (Durrani Empire). He is considered the founding father of the modern state of Afghanistan while Mirwais Hotak is the grandfather of the nation. During the 1800s, Afghanistan became a buffer zone between two powerful empires, British India and Russia. As British India advanced into Afghanistan, Russia felt threatened and expanded southward across Central Asia. To stop the Russian advance, Britain tried to make Afghanistan part of its empire but the Afghans fought wars with British-led Indians from 1839 to 1842 and from 1878 to 1880. After the third war in 1919, Afghanistan under King Amanullah gained respect and recognition as a completely independent state. The Kingdom of Afghanistan was a constitutional monarchy established in 1926. It was the successor state to the Emirate of Afghanistan. On 27 September 1934, during the reign of Zahir Shah, the Kingdom of Afghanistan joined the League of Nations. During World War II, Afghanistan remained neutral. It pursued a diplomatic policy of non-alignment. The creation of Pakistan in 1947 as its eastern neighbor created problems. In 1973, political crises led to the overthrow of the king. The country's new leader ended the monarchy and made Afghanistan a republic. In 1978, a Communist political party supported by the Soviet Union seized control of Afghanistan's government. This move sparked rebellions throughout the country. The government asked the Soviet Union for military assistance. The Soviets took advantage of the situation and invaded Afghanistan in December 1979. Most people in Afghanistan opposed the sudden Soviet presence in their country. For nearly a decade, anti-Communist Islamic forces known as Mujahideen were trained inside neighboring Pakistan to fight the Soviets and the Afghan government. The United States and other anti-Soviet countries supported the Mujahideen. In the long war, over one million Afghan civilians were killed. The Soviet Army also lost more than 15,000 soldiers in that war. Millions of Afghans left their country to stay safe in neighboring Pakistan and Iran. In 1989 the Soviet Army withdrew the last of its troops. Former Afghan President Hamid Karzai at the 2011 Afghan Independence Day in Kabul. After the Soviets left, different Afghan warlords began fighting for control of the country. The warlords received support from other countries, including neighboring Pakistan and Iran. A very conservative Islamic group known as the Taliban emerged in an attempt to end the civil war. By the late 1990s the Taliban had gained control over 95% of Afghanistan. A group known as the Northern Alliance, based in northern Afghanistan near the border with Tajikistan, continued to fight against the Taliban. 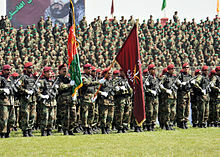 NATO-trained Afghan National Army (ANA). The Taliban ruled Afghanistan according to their strict version of Islamic law. People whom the Taliban believed violated these laws were given cruel punishments. In addition, the Taliban completely restricted the rights of women. Because of such policies, most countries refused to recognize the Taliban government. Only Pakistan, Saudi Arabia and the United Arab Emirates (UAE) accepted them as the official government. The Taliban also angered other countries by allowing suspected terrorists to live freely in Afghanistan. Among them were Osama bin Laden and members of the al-Qaeda terrorist network. In September 2001, the United States blamed bin Laden for the terrorist attacks on the World Trade Center in New York City and the Pentagon outside Washington, D.C. The Taliban refused to hand him over to the United States. In response, the United States and its allies launched a bombing campaign against al-Qaeda in October 2001. Within months the Taliban abandoned Kabul, and a new government led by Hamid Karzai came to power, but fighting between the Taliban and US-led armies continued. Taliban fighters have gone into Afghanistan from neighboring Pakistan. Afghans accuse Pakistan's military of being behind the Taliban militants but Pakistan has rejected this and stated that a stable Afghanistan is in Pakistan's own interest. In December 2004, Hamid Karzai became the first democratically elected president of Afghanistan. NATO began rebuilding Afghanistan, including its military and government institutions. Many schools and colleges were built. Freedom for women has improved. Women can study, work, drive, and run for office. Many Afghan women work as politicians, some are ministers while at least one is a mayor. Others have opened businesses, or joined the military or police. Afghanistan's economy has also improved dramatically, and NATO agreed in 2012 to help the country for at least another 10 years after 2014. In the meantime, Afghanistan improved diplomatic ties with many countries in the world and continues. Afghanistan is a newly formed democracy. Under the new constitution, the president and two vice presidents are elected every five years. The International Security Force Assistance (ISAF) helps the government maintain peace and rebuild the country. ↑ 1.0 1.1 1.2 "Article Sixteen of the Constitution of Afghanistan". 2004. Retrieved June 13, 2012. From among the languages of Pashto, Dari, Uzbeki, Turkmani, Baluchi, Pashai, Nuristani, Pamiri (alsana), Arab and other languages spoken in the country, Pashto and Dari are the official languages of the state. ↑ "Central Statistics Organization". cso.gov.af. ↑ 6.0 6.1 6.2 6.3 "Afghanistan". International Monetary Fund. Retrieved 26 April 2014. ↑ "Gini Index". World Bank. Archived from the original on 11 May 2014. Retrieved 2 March 2011. ↑ "2015 Human Development Report" (PDF). United Nations Development Programme. 14 December 2015. p. 18. Retrieved 14 December 2015. ↑ "Composition of macro geographical (continental) regions, geographical sub-regions, and selected economic and other groupings". United Nations. 26 April 2011. Archived from the original on 13 July 2011. Retrieved 13 July 2011. ↑ 10.0 10.1 10.2 "Afghanistan". CIA - The World Factbook. Retrieved 30 August 2011. ↑ "Afghanistan." Britannica Student Library. Encyclopaedia Britannica Ultimate Reference Suite. Chicago: Encyclopædia Britannica, 2010. ↑ 13.0 13.1 13.2 "Afghanistan Facts and Pictures". National Geographic Kids. Retrieved 30 August 2011. "Ethnic groups". BBC News. Retrieved 7 June 2013. Pashtun: Estimated to be in excess of 45% of the population, the Pashtuns have been the most dominant ethnic group in Afghanistan. "Afghan Population: 30,419,928 [Pashtun 42%]". Central Intelligence Agency (CIA). The World Factbook. 2012. Retrieved 2012-06-30. ↑ "Tajik". Encyclopædia Britannica. Retrieved November 6, 2011. There were about 5,000,000 in Afghanistan, where they constituted about one-fifth of the population. ↑ "Tajik." Encyclopædia Britannica. Encyclopaedia Britannica Ultimate Reference Suite. Chicago: Encyclopædia Britannica, 2010. ↑ 20.0 20.1 "Afghanistan." Britannica Elementary Library. Encyclopaedia Britannica Ultimate Reference Suite. Chicago: Encyclopædia Britannica. ↑ "ZOROASTER ii. GENERAL SURVEY – Encyclopaedia Iranica". www.iranicaonline.org. ↑ "ancient Iran". Britannica Online Encyclopedia. Retrieved 30 August 2011. ↑ "Afghanistan." Encyclopædia Britannica. Encyclopaedia Britannica Ultimate Reference Suite. Chicago: Encyclopædia Britannica, 2010. ↑ "Afghan and Afghanistan". Abdul Hai Habibi. alamahabibi.com. 1969. Retrieved 2012-07-01. ↑ "Afghanistan anti-corruption pledge at Bonn summit". BBC Website. 5 December 2011. Retrieved 9 December 2013. ↑ "The Constitution of Afghanistan". Afghanistan Online. Retrieved 9 December 2013. ↑ Other terms that have been used as demonyms are Afghani and Afghanistani. 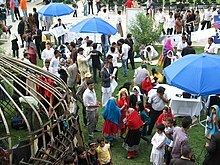 Wikimedia Commons has media related to Afghanistan. 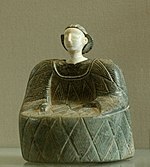 1 Only recognized by Turkey; see Cyprus dispute. 2 Palestine territories. 3 Disputed territories. 4 Jerusalem recognized capital of Palestine by Islamic countries. 5 In conflict with Russia. 6 Status disputed with Morocco. This page was last changed on 24 February 2019, at 22:41.